Thinking of Getting Ready for a Future That Includes College? Is anyone ever actually ready by choice? Especially if they have pretty severe autism, cant use spoken words appropriately or reliably, cant hand write. Cant even turn pages of a text book? Actually yes, you can be ready if that’s really what you want to do. And that’s the key- the person with autism has to be motivated to do this. **Sahil continues to throw puzzle pieces and twinkle and laugh. If I had to declare a victor in this exchange, I have to say that it wouldn’t have been a difficult task. They go through life struggling with stupid things like wearing tee shirts inside out (which I do too sometimes) needing us to help them with the simplest things. We spend hours and hours of each day for all their formative years teaching and reteaching the smallest steps to these tasks. With limited success. Thankfully he still managed to retain his feeling of self worth through all of this. As parents, to make the child believe in themselves, we have to believe in them first. That means teaching them things which other(neurotypical) children their age are taught, and talking to them just like you would talk to a child with no such diagnosis. After using textual communication methods like RPM etc parents and relatives are always in shock (a pleasant one, of course) that their child knows so much and can pick up so much even when they do not appear to be paying any attention. Finally the person with autism, has to integrate in society and society has a limited appetite for autistic behaviors and an even more limited capability for not judging a book by its cover. And yes…none of this is easy, either for Sahil or for his therapists, school, caregivers and yes even his college. I am restarting this blog to share his story and interventions from a caregivers perspective. He has his own voice(!!!) and it will be interesting for me to read his views on this! Today I decided to reactivate my blog not as a research and experiential blog as it was in its first Avatar, but as a place i can vent…ponder…and hopefully celebrate occasionally. I am the mother of 14 year old Sahil, a boy on the spectrum. Today is a vent. I have been reading, living and breathing autism for the last twelve and a half years. We have had highs and lows and many many plateaus. I have learned slowly who my son is…and learned to appreciate his character, intellect and love for me. I have learned to count my blessings. The fact that despite being severely impaired in many aspects of his life his cognition is relatively intact. The fact that despite the physiological challenges and many invisible medical issues my son grapples with he has a wonderful positivity and even more amazing implicit trust and faith that I will finally make things better for him . The fact that my son has learned to use the written medium to communicate his deepest feelings and thoughts. That from somewhere…I am usually able to dig very deep within myself and find the strength to continue to NOT accept his impairments as carved in stone and look for solutions with the same intensity as I did twelve and a half years ago. All you need to destroy a balloon is a pinprick…this was my pinprick. When I reached the Lobby sure enough Sahil had denuded the apartment Christmas tree of all the ribbons decorating it. I grabbed the ribbons mortified and placed them on the table. All I can think is what a friend of mine had said to me once ….that autism is a zero sum game…you are either functional or you arent. Cognition doesnt make the cut alone…its only a small part of the puzzle…a contributor to functionality…perhaps important but there are so many other important skills that make human beings functional enough to live in a society…social understanding…impulse control..emotional balance..and many many other prerequisites. And why did he pull the ribbons off the tree instead of coming back to the sixth floor? Perhaps because he is obsessed with stringy objects and because of his irritation at being made to wait, and the fact that he knew he was unsupervised, he succumbed to the urge to get at the ribbons. I had argued with my friend that in terms of her binary analogy autism was a journey where we moved from the zero to the one. The test for this condition looks at antibody titers in the blood against folate receptor alpha. Those receptors are located on the brain, at the interface between the blood and the cerebrospinal fluid, and ensure the transport of folate from the blood to the CSF. If there are antibodies against those receptors, then the transport of folate from the blood to the brain will be impaired. As a result, you will see low levels of folates in the brain, even with normal levels in the blood. The higher the antibody titers, the lower the brain folate levels. There are several negative consequences of low folate levels in the brain, because folate in one of the basic bricks to make many things: neurotransmitter, methylation, glutathione, detox, etc… As a result some brain functions and central nervous system functions will be impaired, depending on individuals, additional insults, age of onset, etc… So obviously the relevance to autism is that cerebral folate deficiency causes brain dysfunction, so could be responsible for part of the autistic symptoms. Also, the doctors who’ve been treating hundreds of patients for this condition for over a year now (Rossignol’s practice and Scott Smith’s), say about 75% of children with autism have it, as well as many parents. The good thing is that this is treatable: by giving high doses of oral folates (typically 100 times the RDA), one can reach a high enough level of folate in the blood (higher than normal) so that enough folates can cross the BBB even with folate receptors blocked by the antibodies. Another key element of the treatment is a dairy-free diet (no milk, yogurt, cheese, whey, colostrum, butter, ghee, etc…), because dairy products from any mammals (humans included) include a folate binding protein that is very close to the folate receptor alpha and thus flares the autoimmune response. So a dairy free diet allows to decrease the titers, and high doses of oral folates allows brain folate levels to be restored. The main problem is depending on individual weaknesses in metabolism, some have trouble handling all this extra folate circulating through the body. …Won’ t you come along? I need someone to help me . A person big and strong. But my feet are very small . And catch me if I fall ? And wipe away the tears ? To let me take it slow. Please, won’ t you walk with me ? And you want to turn back home . So you won’ t feel so alone. We can always be best friends . And we find where we should be. You took this path with me. Please, won’ t you come along? generally allow corn in GF diets – why? some people do react to corn also. It started many years back when my friend and special parent “C” started an ABA based therapy centre in Delhi. 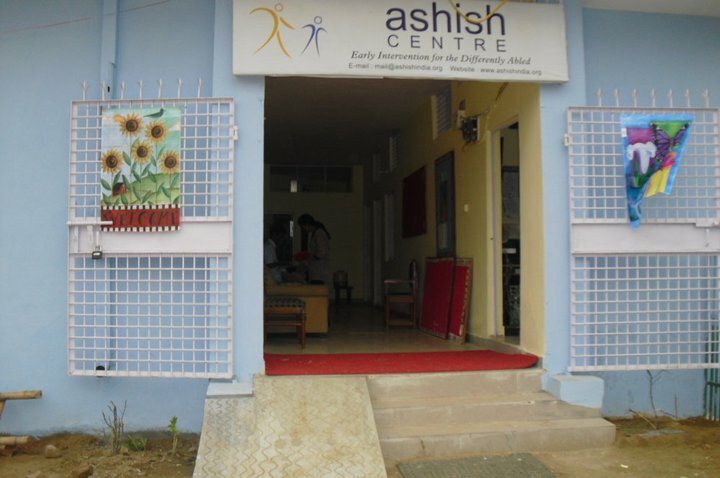 Though she let go of the reins because of personal commitments the centre is thriving, has helped many children and parents from all over Delhi and has spawned many branches in the national capital. Another friend “G” unhappy with the jingoistic and exclusive attitude of many “inclusive” schools, and the lack of adequate resources/ performance standards in less expensive schools, opened a school for children on the spectrum, providing inputs from the best specialists in the city, and the best resourcing, at a fraction of the cost that the most exclusive schools were charging. Yet another daughty parent “S” brought NACD to India from Utah making it one of the very few international chapters in the world, to do this she tirelessly worked to arrange to get the founder of NACD Bob Doman to come to New Delhi to meet with parents,educators and doctors , hold seminars. Over and above this I have been delighted to see two new schools sprout up, in the last 6 months, sponsored by parents who wanted to provide world class facilities to special children…Another parent is talking about setting up a daycare type program with a slant at socialisation. These parents may not have the expertise in themselves but they know what they want for our children and are willing to invest in it. 4)Methylcobalamin (MeB-12), the cofactor of 5-methyltetrahydrof olate-homocysteine methyltransferase (MTR). Methylcobalamin supporters state its superiority as it is the primary circulatory form and acts as a methyl donor. Adenosylcobalamin, however, accounts for 70% of cobalamin stored in the livert the major storage site for B12, while methylcobalamin accounts for only 1% to 3%. It is also argued that cyanocobalamin is poorly converted into its active forms and releases cyanide into circulation-neither of these statements is supported by research. Since the cyanocobalamin form of B-12 is deeply red colored, easy to crystallize, and is not sensitive to air-oxidation, it is typically used as a form of B-12 for food additives and in many common multivitamins. Research findings have demonstrated that oral cyanocobalamin is safe and easily and rapidly converted to both methylcobalamin and adenosylcobalamin during absorption and at the target cell, and does reverse B12 deficiency signs and symptoms. Oral cyanocobalamin has a long history of use worldwide. In Sweden, oral high-dose cyanocobalamin is the major treatment form for B12 deficiency and maintenance and has gained widespread popularity since its introduction in 1964. More than one million patients and years of data in Sweden support the use of oral cyanocobalamin to correct and prevent B12 deficiency signs and symptoms and it is considered a standard of care for most patients. In virtually every aspect of B12 activity oral cyanocobalamin has demonstrated benefits, including psychological, neurological, and hematological. A key function of B12 is its participation in methylation reactions. Foremost of these processes is the reduction homhomocysteine. While methylcobalamin does participate in homocysteine reduction, it is secondary in significance to folic acid. Methylcobalamin receives its methyl group from folic acid (methyltetrahydrofo late). The body ârecyclesâ methyl groups and cobalamin. In the homocysteine cycle, as an example, cobalamin donates its methyl group and is then converted back to methylcobalamin, receiving a methyl group from 5-methyl-tetrahydro folate. The primary methyl donor is folic acid along with other methyl donors, whereas cyanocobalamin provides the vitamin B12 component for the cycle. Â In patients with end stage renal disease, a condition associated with hyperhomocysteinemia cyanocobalamin was demonstrated to be equipotent in reducing plasma homocysteine levels in a comparison to hydroxycobalamin. In a 2001 study printed in JAMA, Tice et al. reported oral cyanocobalamin to be a cost-effective method of reducing plasma homocysteine levels in multiple population groups. Â B12 deficiency has been associated with alterations in cognition in the elderly. There is a known connection between elevations in homocysteine and age-related cognitive decline. The relationship must certainly include deficiencies of both folic acid and B12. Oral cyanocobalamin is capable of reducing serum methylmalonic acid concentrations, an indication of B12 repletion. Therefore, increasing the intake of B12 as cyanocobalamin may provide protection against cognitive decline in older populations. No toxic effects of oral B12 consumption have ever been reported at any level of intake. In a 1991 JAMA report, Hatchcock and Troendle reported no concerns with the oral use of B12. Cyanide release from oral B12 was said to be toxicologically insignificant. The lack of reported B12 toxicity is a testament to the effective and safe use of this oral compound. -Methylmalonyl Coenzyme A mutase (MUT) which uses the AdoB-12 form and reaction type 1 to catalyze a carbon skeleton rearrangement (the X group is -COSCoA). MUT’s reaction converts MMl-CoA to Su-CoA, an important step in the extraction of energy from proteins and fats. This functionality is lost in vitamin B-12 deficiency, and can be measured clinically as an increased methylmalonic acid (MMA) level. Unfortunately, an elevated MMA, though sensitive to B-12 deficiency, is probably overly sensitive, and not all who have it actually have B-12 deficiency. For example, MMA is elevated in 90-98% of patients with B-12 deficiency; however 25-20% of patients over the age of 70 have elevated levels of MMA, yet 25-33% of them do not have B-12 deficiency. For this reason, MMA is not routinely recommended in the elderly. The “gold standard” test for B-12 deficiency continues to be low blood levels of the vitamin. The MUT function cannot be affected by folate supplementation, and which is necessary for myelin synthesis (see mechanism below) and certain other functions of the central nervous system. 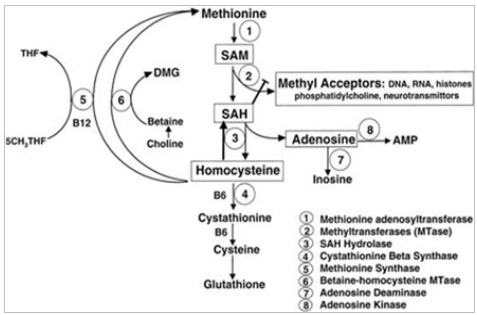 Other functions of B-12 related to DNA synthesis related to MTR dysfunction (see below) can often be corrected with supplementation with the vitamin folic acid, but not the elevated levels of homocysteine, which is normally converted to methionine by MTR. 5-methyltetrahydrofolate-homocystei ne methyltransferase (MTR), also known as methionine synthase. This is a methyl transfer enzyme, which uses the MeB-12 and reaction type 2 to catalyze the conversion of the amino acid Hcy back into Met. This functionality is lost in vitamin B-12 deficiency, and can be measured clinically as an increased homocysteine level in vitro. Increased homocysteine can also be caused by a folic acid deficiency, since B-12 helps to regenerate the tetrahydrofolate (THF) active form of folic acid. Without B-12, folate is trapped as 5-methyl-folate, from which THF cannot be recovered unless a MTR process reacts the 5-methyl-folate with homocysteine to produce methionine and THF, thus decreasing the need for fresh sources of THF from the diet. THF may be produced in the conversion of homocysteine to methionine, or may be obtained in the diet. It is converted by a non-B-12-dependent process to 5,10-methylene- THF, which is involved in the synthesis of thymine. Reduced availability of 5,10-methylene- THF results in problems with DNA synthesis, and ultimately in ineffective production cells with rapid turnover, in particular blood cells, and also intestinal wall cells which are responsible for absorption. The failure of blood cell production results in the once-dreaded and fatal disease, pernicious anemia. All of the DNA synthetic effects, including the megaloblastic anemia of pernicious anemia, resolve if sufficient folate is present (since levels of 5,10-methylene- THF still remain adequate with enough dietary folate). Thus the best known function of B-12 (that which is indirectly involved with DNA synthesis and restoration of cell-division and anemia) is actually a facultative function which is mediated by B-12 conservation of active folate which can be used for DNA production. My supply of 2 litres of imported Dubai camel milk finished in 6 days. Some of the effects of camel milk appear to be unfortunately immediate and impermanent. We were on vacation in Goa while the camel milk trial was on. The day after his last dose of camel milk my son got severely sick, he had been suffering from a mild cold however this intensified and he felt warm to touch, he vomited a bit and was listless. I was not worried because I had many healthful things to give him which his body responds well to. He was given a half liter of ganoderma tincture(a potent anti inflammatory, antiviral medicinal mushroom extract) and about 400 ml of coconut kefir. What actually worried me was the return of the soft tissue injury on his foot…the swelling was back, along with such a bad limp that he could not walk at all. All this had been absent while on camel milk.With the bumper doses of Ganoderma and kefir he started doing a little better and was atleast able to start walking a little bit, and eat some food. Unfortunately his toiletting regression also returned. I realised that we needed to get him back on camel milk as soon as possible and this seemed like an impossible task, since it was only available at Bikaner and Jaisalmer, both destinations atleast more than 10 hours drive from Gurgaon where I lived. When I researched the internet, I discovered to my dismay that pasteurised camel milk had been supplied to Delhi upto about 14 months back. It was discontinued in the absence of demand. 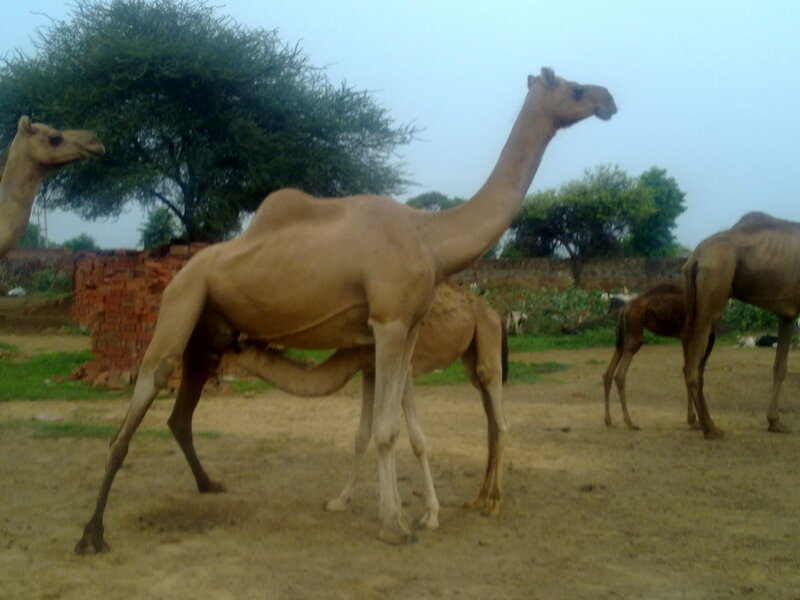 When I called up the centre in Bikaner they told me that this had been handled by a dairy which had since discontinued the distribution of camel milk. It was no longer sent to Delhi, Jaipur or anywhere. The person from the centre further clarified their role to be research and not distribution. I enquired the point of researching its health benefits if it was not being made available to the general public and he depressed my spirits further. He added that they were trying to encourage herders to extract camel milk as this was being done very seldom and camel milk was generally fed to the target God had probably intended i.e. baby camels. When we got back to Gurgaon I immediately started my quest for local sources of camel milk. I had seen a small camel grazing in the rural hilly villages at the outer edge of Gurgaon, when I had been for a trail run in the Aravalli hills. I drove down the hilly road and was finally able to locate the owner of the camel. Disappointment awaited…the owner of the camel said that their camel was just a baby and no where near producing milk. 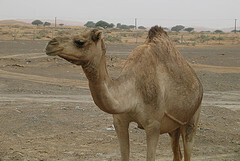 Not one to give up, I asked if there were any other camels kept in the neighbouring areas. We were directed to another village a little further away. Travelling down the broken roads I didnt have much hope of finding lactating camels and when we finally found the herder…I was amazed when I saw the group of camels…about 20 of them and about 10 baby camels. The elder was sitting on a charpoy and smoking a hookah. Heart in my mouth I enquired of him whether they could provide me camel milk and was astounded when he smiled and answered that I could get as much as I wanted. They had two milking times 8 in the morning and 6.30 pm. I started bringing Sahil for a glass of fresh and raw camel milk at 6.30. The balance was frozen and put out to thaw about an hour or so before he consumed it. Since research had confirmed that boiling camel milk destroys the protein based immunoglobulins and hence the immune modulating properties of camel milk, we had it raw for 4 days. I would give him one glass immediately, and then the balance would be frozen and then either thawed before use or made into smoothies. Sahil was having about 3 glasses or 750 ml per day. The first visible effects were ofcourse related to his foot injury…the inflammation again started to vanish and the limp completely disappeared. The other thing I noticed was an immediate reduction in stimming after drinking the milk and general quietening down. However this would last for about 2 hours only. His toiletting again improved dramatically. His play with the ipad improved he started exploring new applications on his own rather than perserverating on his few favourites. Finally we saw improved self awareness and/or executive function in terms of responding to environmental cues like Sahil going and changing his pants himself without prompting when he observed that they were dirty, or when he went to wear his sandals when I mentioned to someone that it was time for me to go. Someone had likened having raw milk in such conditions to playing Russian roulette with my son’s health. Pasteurised unboiled milk was largely said to possess almost the same level of healing because the delicate proteins were relatively undamaged as compared to when boiled. Pasteurisation involved heating the milk to 72deg C for 15-16 seconds and then cooling it down fast so that the heat killed all major pathogens without cooking its componants. So this is what I am following… I have two pans…the outer pan contains water and the inner one camel milk, I heat them both while stirring continuously monitoring the temperature through a laboratory thermometer. As soon as the temperature reaches 72 deg I remove the pans from the heat cover for a minute and then cool them down in cold water. After the temperature comes down a bit the camel milk is put in the freezer to freeze. Am also planning to get both the fresh and the home pasteurised milk tested for pathogens from a laboratory. However this will take a few days as I need to find a laboratory willing to conduct such a test. These are minor issues and it is still difficult for me to fathom that I have succesfully found a closeby source of this milk, so scarce in its availability, and which seems to be something my son reacts so positively to. AND I have been able to make this milk relatively safe for consumption without drastically reducing its therapeutic benefits. Minocycline is a promising treatment for autism because of many reasons. It has already got positive results in fragile x cases and is being tested in autism because of its neuroprotective qualities as well as it strong anti inflammatory action on the brain, and elsewhere. It is a weak broad spectrum antibiotic which is used generally in the treatment of acne and is supposed to have a positive effect in mild RA. Our trial with minocycline continues since we have not seen any adverse effects beyond impaired balance of intestinal pathogens. Many families have had to abandon use of this medicine because of skin and teeth discoloration etc. This medicine is inhibited by iron,zinc and calcium supplementation and should not be taken within two hours of these nutrients. We started seeing beneficial effects after about 6 weeks of being on the drug which included increase speech usage and reduction in hyperactivity. Impairment in gut environment also happened within a couple of weeks, specifically clostridia type overgrowth; which resolves only with heavy daily probiotic supplementation i.e. we are ok on the days that we drink atleast 300-500 ml of coconut kefir. The good part about this was that the behaviors normally associated with these infections(aggression, screaming, destructiveness, impulsivity) did not manifest themselves – leading one to hypothesize that perhaps reduced inflammation in the gut was leading less leakage of toxins through the intestinal walls.